Paul went on also to Derbe and to Lystra, where there was a disciple named Timothy, the son of a Jewish woman who was a believer; but his father was a Greek. He was well spoken of by the believers in Lystra and Iconium. Paul wanted Timothy to accompany him; and he took him and had him circumcised because of the Jews who were in those places, for they all knew that his father was a Greek. As they went from town to town, they delivered to them for observance the decisions that had been reached by the apostles and elders who were in Jerusalem. So the churches were strengthened in the faith and increased in numbers daily. They went through the region of Phrygia and Galatia, having been forbidden by the Holy Spirit to speak the word in Asia. When they had come opposite Mysia, they attempted to go into Bithynia, but the Spirit of Jesus did not allow them; so, passing by Mysia, they went down to Troas. During the night Paul had a vision: there stood a man of Macedonia pleading with him and saying, “Come over to Macedonia and help us.” When he had seen the vision, we immediately tried to cross over to Macedonia, being convinced that God had called us to proclaim the good news to them. The North Western Synod had a vision. There was a tiny church in Failsworth which had decided it could no longer carry on and should close. The church had a thriving scout group, Rainbows and Brownies which meant that large numbers of children were coming through its doors on a regular basis and would need alternative premises if they were to carry on. The church was persuaded to reverse their decision to close and work commenced to find a suitable scheme to replace the existing tired old building with something more fit for purpose. Enter Muggins – a (not so young) non-stipendiary minister, just completed her training and needing an assignment. “You cannot be serious!” seemed a good response to the suggestion that this church needed a leader, but it was only for 12 months to get things underway! The thing about visions is that if it’s not your vision, it can take time to catch it but by the time the synod moderator retired, Muggins was infected with it and then had to spend a lot of time and effort infecting the new moderator to ensure the project wasn’t abandoned. Having a vision does not necessarily mean everything will be aligned with that vision, but, as we put out a call for help whilst agonising over our future and plans, what we did discover was that other folk had had visions or prophetic words in the past and also more recently which confirmed that we were, despite appearances, heading in the right direction and a handful of folk stepped up to the plate to work with us. Muggins has been in post now over 10 years, and the building project is just completed having had many false starts, and unexpected delays, along the way. But we clung to the vision against the odds and we are looking forward to honouring our gracious God from the shiny new building He has provided us with. 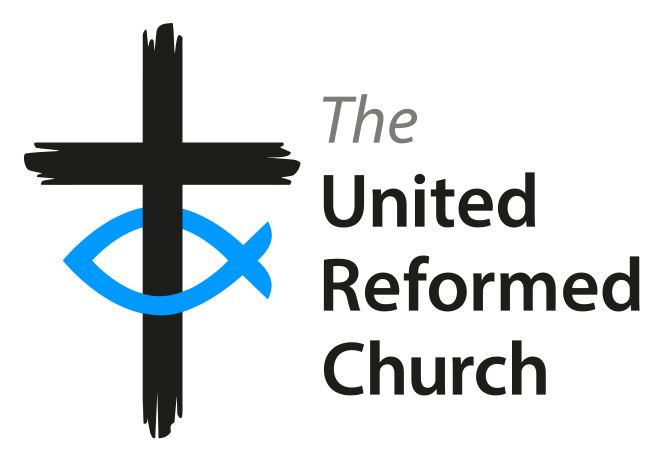 The name of the church is Macedonia URC, named after this very passage which was the text of the very first sermon preached back in 1865.
and that you speak to us and guide us as we seek to do your work in your world. even when the physical world seems to tell us otherwise. and what is just pandering to our egos and desires.